USA TODAY Sports’ Lorenzo Reyes ranks and discusses the best defensive units in football. NFL rosters are essentially set until training camps open later this month. USA TODAY Sports has analyzed each team’s depth chart and is ranking units throughout the league. 1. Seattle Seahawks: The Legion of Boom is still legit. 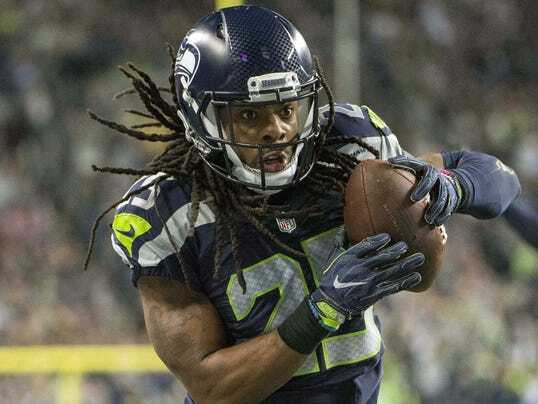 FS Earl Thomas and SS Kam Chancellor remain, arguably, the premier players at their respective positions, while Pro Bowler Richard Sherman continues to be one of the league’s elite corners. CB DeShawn Shead, whose prognosis is currently clouded after he tore a knee ligament in the playoffs, had also become a valuable component of a unit that allowed just 16 TD passes in 2016 even though injuries cost Thomas and Chancellor nine combined games. Third rounders Shaquill Griffin and Delano Hill only deepen a talent pool that also includes veteran Jeremy Lane.